Explore 600 acres of ski trails with many interesting views and destinations including Hooper’s Garnet Mine, the Sugar House and Putty Pond. Or hike to backcountry spots in the Siamese Pond Wilderness area on well maintained and well marked trails. 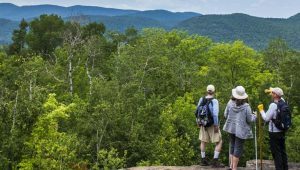 Choose from an all day climb topping out a 4000 ft. high peak, a leisurely walk in the woods, or a fishing adventure-hike to a remote pond. 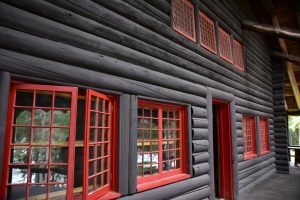 Garnet Hill Lodge is an ideal Adirondack hiking lodge for outdoor southern Adirondack hiking, featuring rustic charm, modern comforts and the Log House Restaurant and Pub. 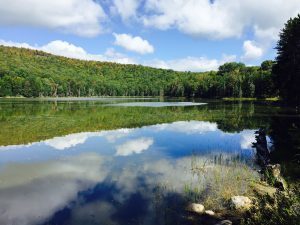 Right outside the door, guests can begin hikes and trail runs to nearby Hooper Mine, William Blake Pond, Balm of Gilead Mountain, and trails into the Siamese Ponds Wilderness Area. Rising right out of Thirteenth Lake are “The Garnet Hills” – Ruby, Peaked, Slide, Little Thirteenth, and Hour Pond mountains. A short drive (40 min.) 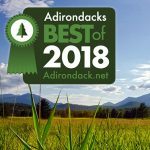 to the state trailhead at Tawahus provides access to trails into the Adirondack High Peaks area, featuring 50 square miles of mountain wilderness and world class hiking adventures. The Garnet Hill Ski Trails provide 55km of wide and relatively even walking trails for guests looking for great hiking on surer footing. These trails work their way through the woods, past historic remnants of the area’s past, over hilltops providing scenic vistas and into peaceful valleys full of wildlife. Our trails also provide the most direct path down to the lake from our main Log House building. The following is a collection of some of our favorite hikes and outings near the Lodge. There are certainly many more that we have not included here. 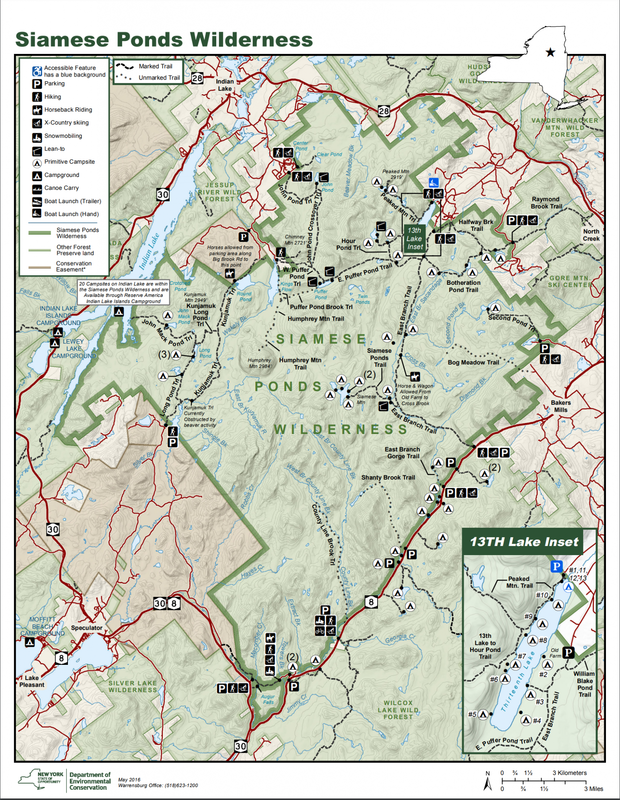 The Outdoor Center staff are happy to provide more details on these hikes, and most are included on this Map of the Siamese Ponds Wilderness Area. Peaked Mountain is a local favorite. The trail to Peaked Mountain Pond that sits below the mountain’s rocky cone provides a pleasant, steady climb. 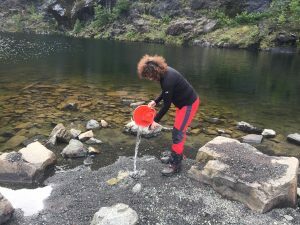 The pond is an ideal place to stop and have refreshment before ascending the cone. Once at the top there are marvelous views down to the pond and across to the area’s mountains. 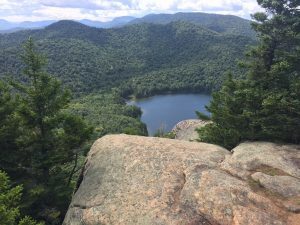 The trail starts right from the Garnet Hill Outdoor Center and the hike takes you to a magnificent cliff on the Balm of Gilead that overlooks Thirteenth Lake and the mountains beyond. No more inviting place exists on the Hudson River than the narrows of Blue Ledge in the heart of the Adirondacks. 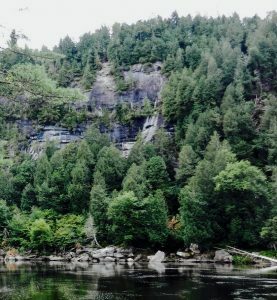 The towering cliffs that give the gorge its name rise above one of the river’s wildest stretches of rapids. The sand beach opposite the ledges make an excellent place to picnic. 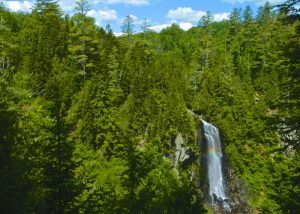 OK Slip Falls is one of the highest waterfalls in the Adirondacks featuring a 200 foot drop. Overall, the walk to OK Slip Falls is fairly easy. Most of the trail is flat. The views once at the falls are spectacular. This route follows a distinct old road to the site of an 1877 farmstead and plantation foundations are still visible amidst the trees. A short side trail leads to Elizabeth Point on Thirteenth Lake where there is a nice picnic spot and beach with great views. This makes an ideal easy day hike. Beginning near the lodge at Old Farm Trailhead, the trail makes it’s way down Old Farm Trail to the clearing, then left on a narrower path through the woods with gentle ups and downs until you arrive at the creek. There is a crossing over the river and the nearby campsite makes a nice spot for a picnic. 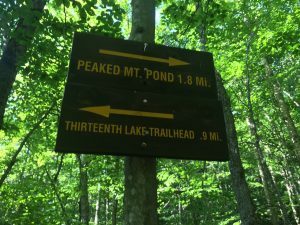 This trail starts from the Garnet Hill Outdoor Center. Take the Hooper Mine Trail Explore an abandoned open pit garnet mine and buildings along the path. From the rim of the pit there are views of Thirteenth Lake and the high peaks in the distance. This trail takes you through the heart of the Siamese Ponds Wilderness, a remote wilderness area. You pass no roads or other signs of civilization on the hike until you return to Garnet Hill. 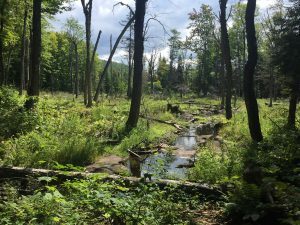 Done as a one-way drop off from the trail head on Route 8, (See road map) the route makes for a very manageable overnight hike, and you can stop to make camp beside the Sacandaga River. A beautiful and relaxed trail walk alongside pristine 13th Lake. Talk this hike as quickly or as slowly as you would like, stopping along the way to admire the scenery. Start from the 13th Lake Trail head. You will walk about a mile along the trail before it turns away from the lake to head up to Peaked Mountain. This is where you can turn around and head back to the trail head and parking lot. Towards the end of this section of the trail, there are a serious of rocks that make a great picnic and swimming spot for those who are so inclined. Getting out is a bit trickier than getting in, so bring your water shoes. Established in 1878, Barton Mine is one of the oldest family owned and operated mines in the United States and the home of the New York State Gemstone. Though the company is still operating at a different site, they now offer seasonal tours of the disused mine. You can hike from the Garnet Hill Outdoor Center to the mine using the Halfway Brook Trail and the Botheration Pond Trail. 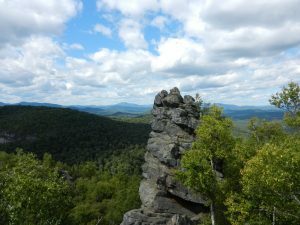 The Halfway Brook Trail was traditional path through the Garnet Hills, in the Southern Adirondacks. It was used by locals for decades prior to the land’s inclusion into the Forest Preserve. In the 1930s, it was traveled by mine workers moving from their North River living quarters to the mine each day. 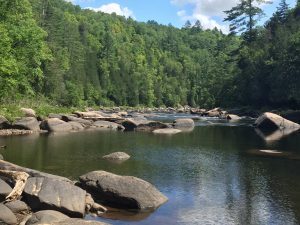 On your way down the trail, you will pass by beautiful big hardwoods, through a notch, with cliffs on the north side and a more gradual slope on the south, and past “The Beaver Swamp” and William Blake Pond. Please note, you will want to call ahead to inquire about availability of the Garnet Mine Tours. Drive to Camp Santanoni, an old Adirondack Camp that once served as a vacation home to the wealthy in the days when they would arrive via train and then horse-drawn carriage. From the gate complex, you can hike 4.9 miles down a peaceful, wide, dirt and gravel carriage road through the woods to the main complex of Camp Santanoni. The path is considered “Wild Forest” and works its way past the ruins of the old farm complex. Once you arrive, you can picnic, swim (weather permitting) and complete a tour of the historic buildings. 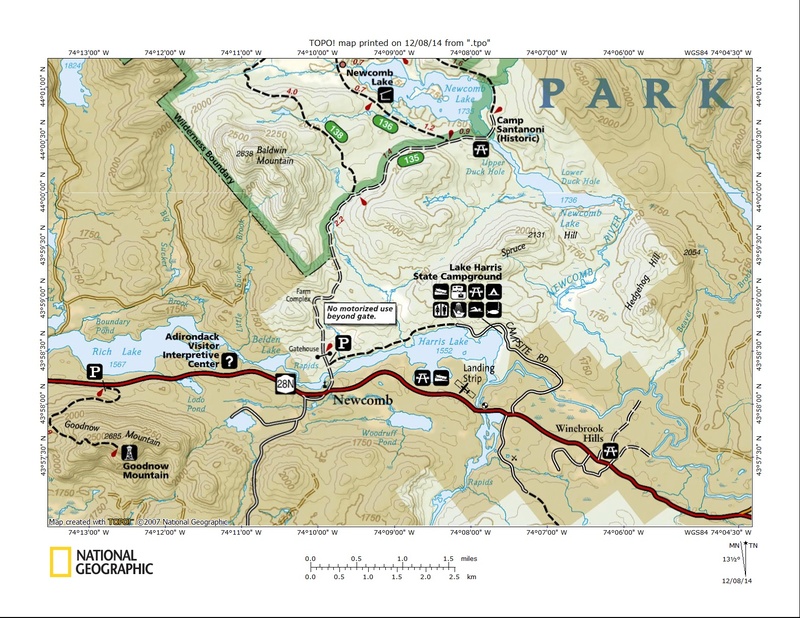 Map of Camp Santanoni and Lake Harris. 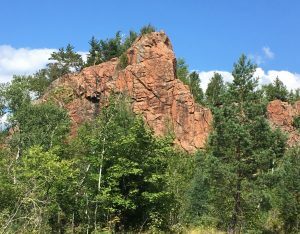 This is a relatively short but steep hike with a fun summit that has rock formations and caves to explore in addition to a fantastic view. As you get towards the top of the trail there will be a few steep sections with some rocky terrain. Directions to trail head.